La Maison du Whisky’s Artist Series 8 is all about exploring unique casks which represent the artistry and character of their distilleries – be it in a non-Sherry or Sherry matured avatar. 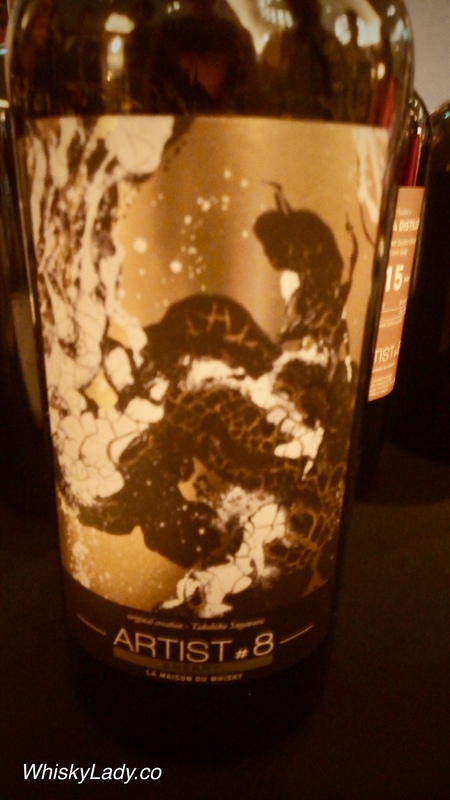 The Sherry range was adorned with most gorgeous labels created by Japanese artist Takehiko Sugawara. At our Whisky Live Sinagapore 2018 tasting, this Bunnahabhain was the ‘penultimate’ dram in the series – both the oldest and most certainly the most expensive at SGD 1,999. Don’t laugh but what first struck me is how “nice” this whisky is! Exceedingly nice. 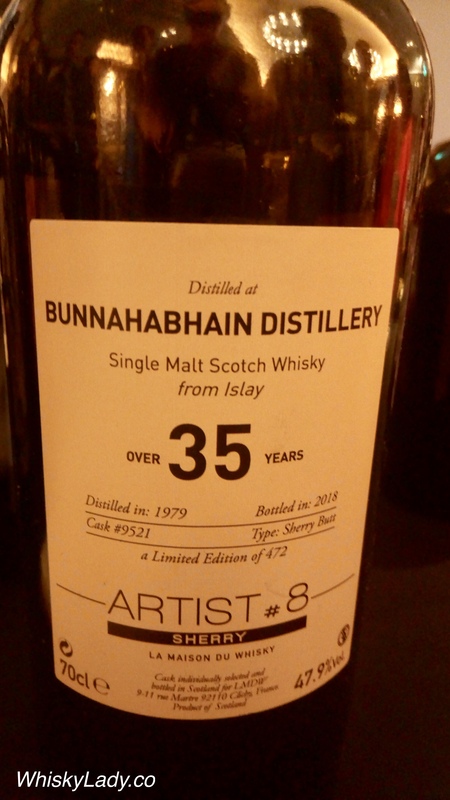 I’ve been disappointed with older Bunnahabhain’s before but not this one. What do the folks at La Maison du Whisky have to say about this whisky? Palate – Creamy, smooth. True delicacy, the attack in mouth oscillates between the candy with the violet, the blood oranges, the dark chocolate, the liquorice and the dried fruits (date, nuts). With a lot of freshness, the mid-palate is fruity (black grape), liquorice (stick) and honey (linden). These tones precede little bourbon vanilla, ripe bananas and cloves. Finish – Long, fluffy. It preserves and preserves intact every flavor unveiled by the mouth. Then, as and when, she fully satisfies her desire for exoticism (passion, mango, guava). In retro-olfaction, coffee with milk, crushed strawberries, blueberries and ginger permeate the palate. The empty glass is resinous (pine, sweet of the Vosges) and empyreumatic (eucalyptus). —- From LMdW website with an imperfect google translation from French. This entry was posted in Cask Strength, Islay, Scotland, Sherry and tagged Bunnahabhain, La Maison du Whisky by Carissa Hickling. Bookmark the permalink.